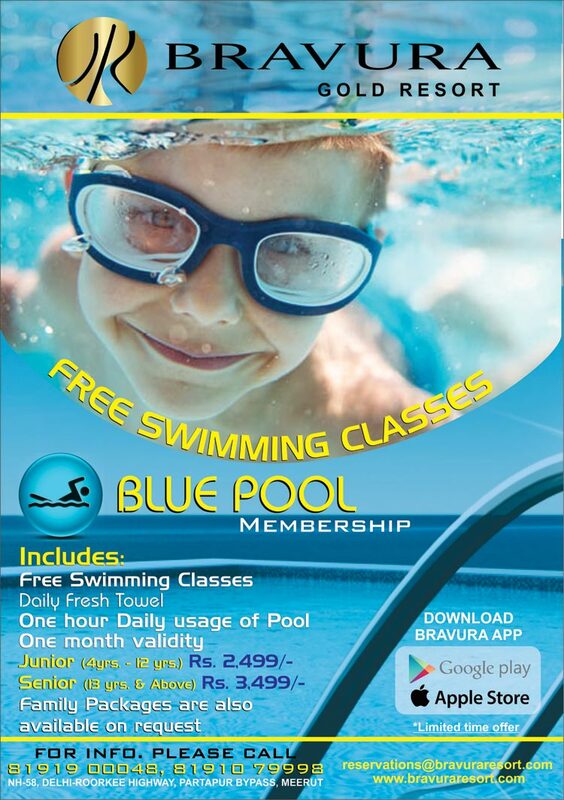 BLUE POOL at Bravura Gold Resort, Learn Swimming or Rejuvenate at one of the Finest Swimming Pool of the city. Blue Pool Membership Starting @ Rs. 2,499/- Only.